World Water Day is observed every year on March 22 to highlight the importance of water. We are all aware of the fact that water is crucial for every living being on earth. It is vital for social, economic and human growth. Earth is often thought of as the blue planet, with 71% of the surface covered in water, but our supply of clean water is limited and that is a lesson environmental leaders want to instill within the younger generation. 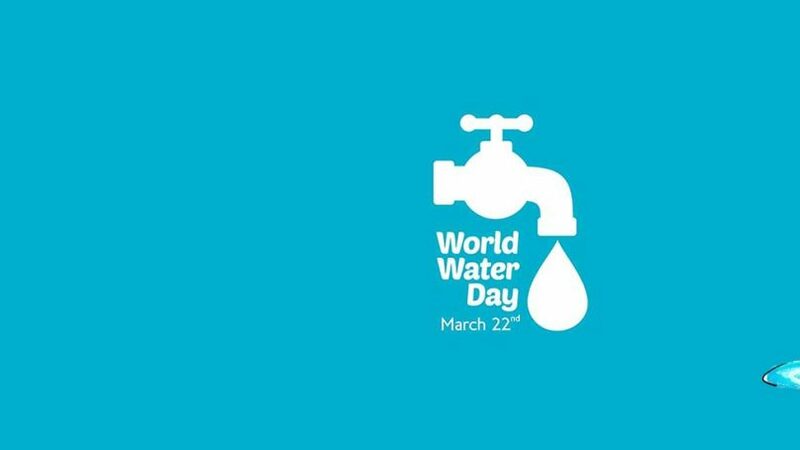 The theme of this year’s World Water day is named ‘Leaving No One Behind’ which means that everyone has the right to have access to clean water at all times and in every premise including households, schools, workplaces, farms and factories. Unfortunately, in many parts of the world, access to clean water is still a major issue. Women, children, refugees, disabled people and others face discrimination every day when it comes to water supply. About 2.1 billion people suffer from a lack of clean water supply and more than 700 children under five years of age die every day from diarrhea caused by a result of drinking contaminated water. About 4 billion people face extreme water shortage during at least one month of the year. The Human Right to water benefits everyone without discrimination to adequate, clean, physically accessible and affordable water for drinking, sanitation, washing of clothes, food preparation, and personal and household hygiene. There are a number of simple steps everyone can do to help conserve water and protect the watershed. From not leaving the water running, allowing water to properly run-off from buildings during the spring to an area where it can drain, not pouring hazardous chemicals down the drain, to not flushing the toilet as often. “Our goal is to show them ways they can take care of the watershed by reusing, recycling, not using things that are hazardous to the environment, and taking that message home to their families,” Kent added. The Lakehead Region Conservation Authority created a watershed report card and according to Kent, the water quality in the Lakehead area is good. But water conservation is something everyone needs to continually work on. “We all have to look for hazards that surround our water and we have to keep testing our water and we have to involve everyone out there in the public in helping protect our water,” he said. Millions of people around the globe are often deprived of this right on the basis of many factors that include gender, race, ethnicity, religion, birth, caste, nationality and social status. Environmental degradation, climate change, population growth, conflict, forced displacement and migration flows all affect the supply of water to marginalized groups. Collective efforts must be taken by organizations responsible for water services to focus their work on groups of people that have been overlooked. It must be ensured that the voices of the affected communities are heard and efficient action must be taken so that their problems are resolved. 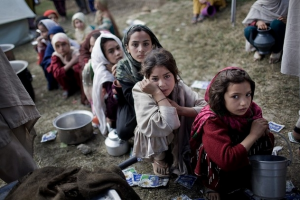 Pakistan is one of the many countries that face the problem of water shortage. Groundwater extraction for drinking and agriculture purposes results in Pakistan’s ground water level to fall a meter every year. Annual groundwater withdrawal is approximately 65 bcm while annual renewable groundwater resources are measured to be 55 bcm. The release of sewerage water into the country’s rivers create issues for the common man, as more than five million of the population suffers from arsenic issues. Water borne diseases are common is some parts of the country, and hundreds are deprived of water supply for which they have to displace from their homes in order to have access to clean, drinkable water. The construction of water reservoirs in the country for the storage of water can resolve parts of the problem. Pakistan has a long way to go until the water related issues are resolved for whole of its population.